I love nature as much as any child in this world. 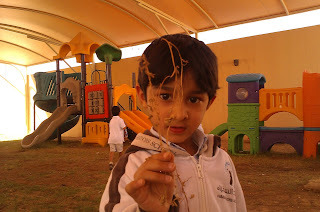 So we go out for 'NATURE WALK' so often that my students are now in deep love . 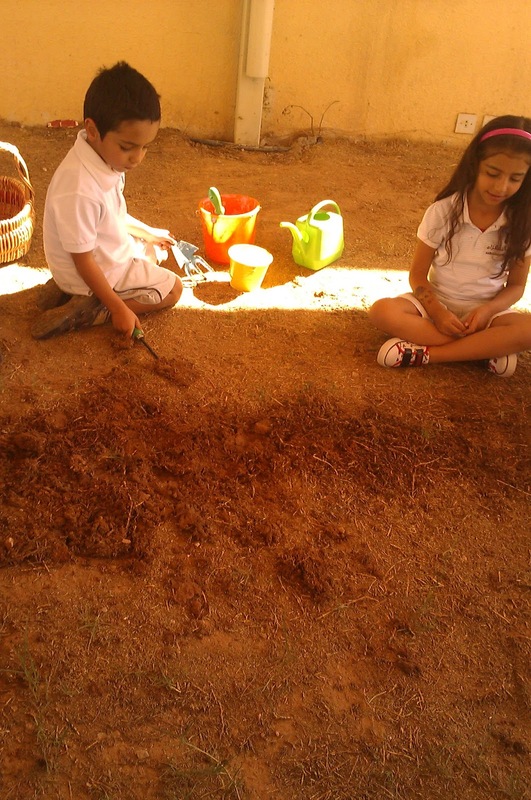 Last week as we were learning about the parts of a plant, my children insisted on plouging the garden using few tool. 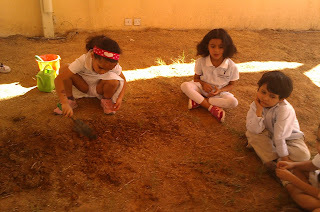 So we decided to PLANT some SEEDS in our garden. And after some brain storming ,we gathered the required info and collected some stuff for the purpose. This is our 'garden tool basket' for planting. These kids are making the soil little softer using water with few tools. Everybody learned, percieved and got the experience in their own unique way. Next step was to mix the soil using a tool . 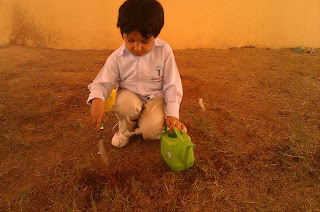 Look at the BEAUTIFUL Concentration level he reached, unimaginable ! 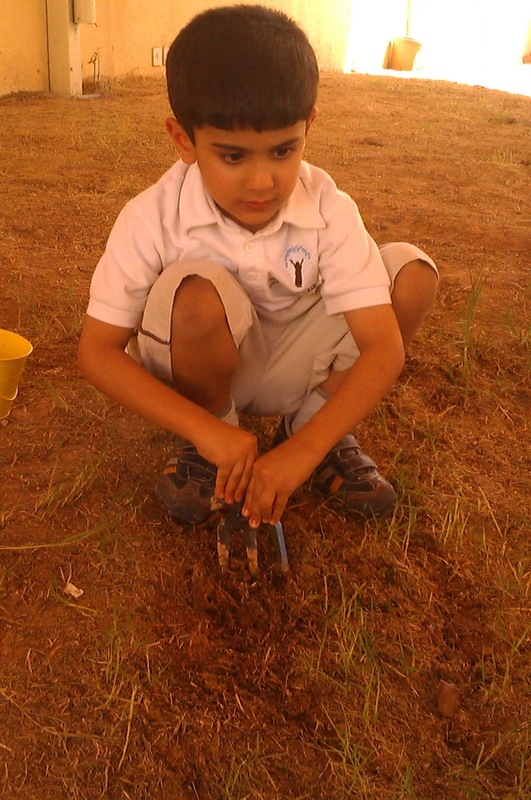 3rd step is to sow the seed and then covering it with soil. After we covered the seed with soil, all my students shouted, "it's time now for water", it seems to me that they have a good understanding of the planting process . Look at this child, for me Children who are not self expressive can be highly creative when indulge in nature. 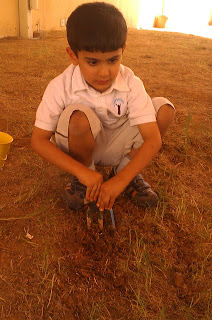 He loved the digging stuff, the active children alwsays show extreme concentration when work in nature. 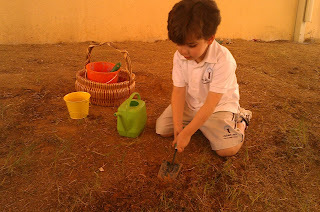 He simply asked me ,Miss Erum, "Can I dig the whole garden", wow..its amazing how energetic children are! 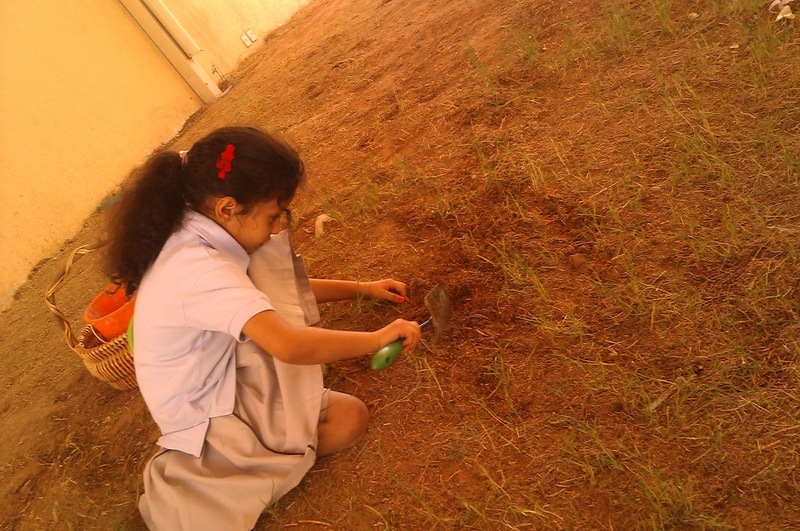 She loves changing activities ,but when it comes to nature , I was amazed ..at her dedication. And then I asked them ,"Is plant living or non-living?" 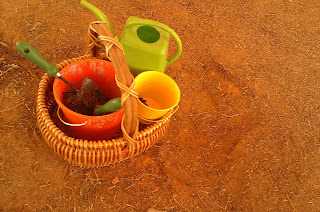 For my surprise they all started giving me the reasons why PLANTS are living things ,as we discussed about LIVING/NON LIVING THINGS last week with lots of stuff in the class and I think they have engraved in their minds what are the simple clues which can tell us whether its LIVING or NON-LIVING. 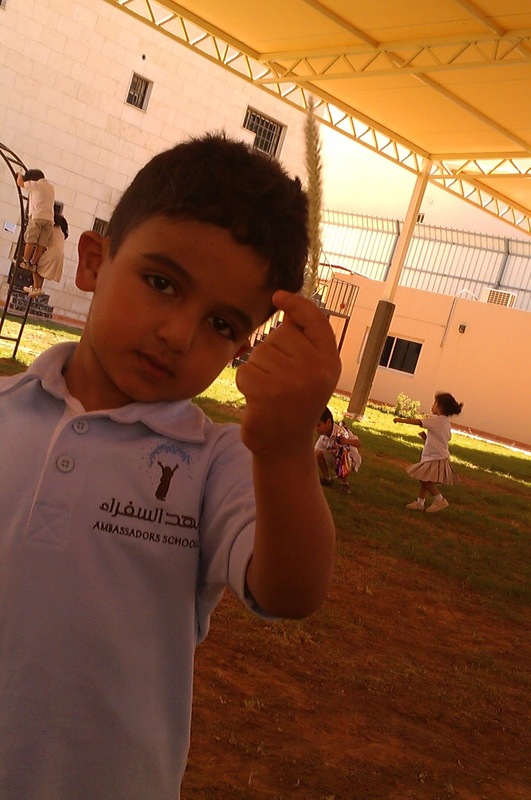 In the process of gardening, children discovered many things which we adults never take seriously, this boy discovered the dried plant and was curious to show it to everyone and told the whole story of how he got it from the field. 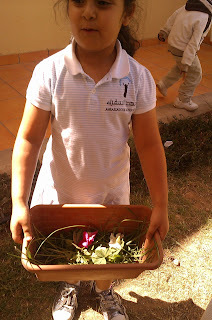 She explained, "These are beautiful garden stuff, can we put it on our Nature Table today?" 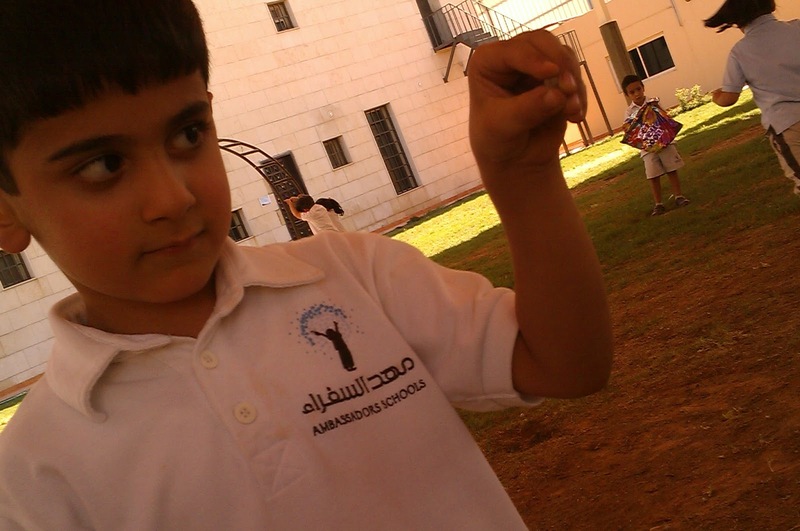 He was excited to show his discovery. 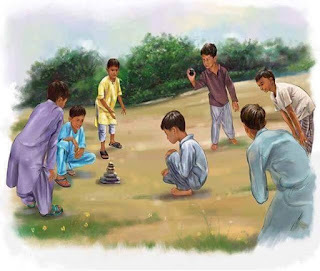 When we adults start realizing the POWER of DISCOVERY by CHILDREN on their LIFE , that day would be enough for the children of the world to live HAPPILY on EARTH. 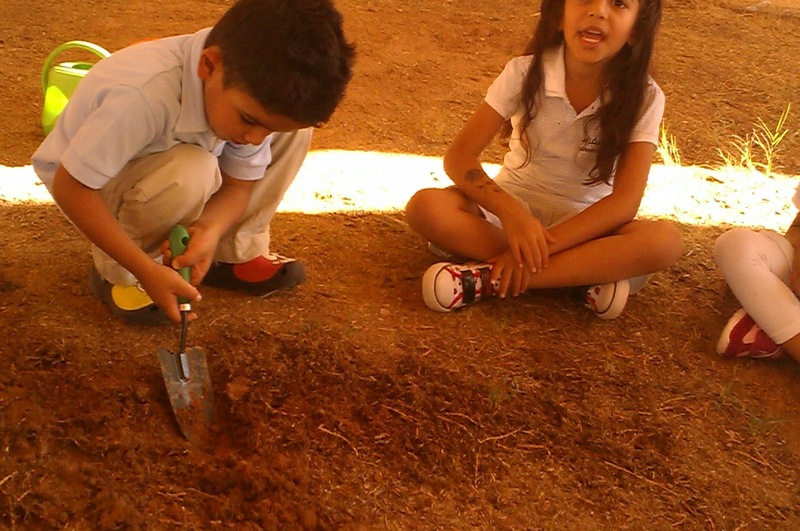 Children love playing in the dirt, so helping them plant their own little garden is the perfect way to stay Outdoors. 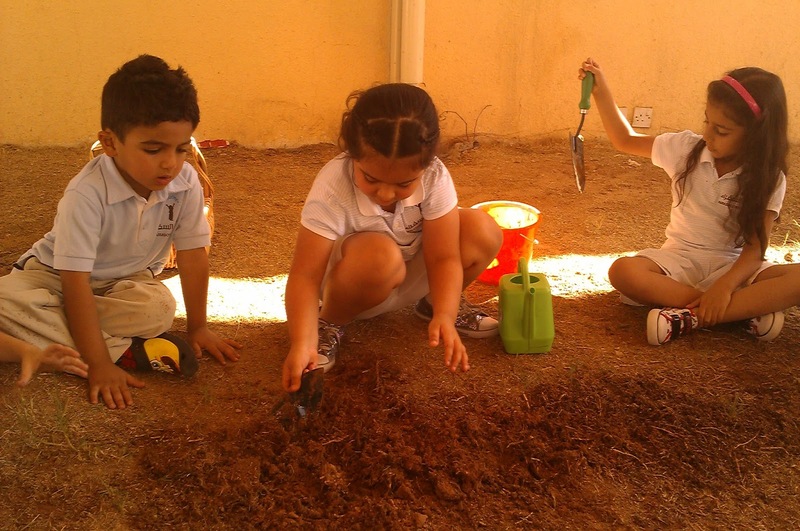 Not only do they get to know about the Planting process and love for preserving Nature , they also get to see results from all the messy fun. Growing their own plants teaches children responsibility and lessons about the life cycle, and gives them a sense of accomplishment when they see their plants in a vase on a windowsill or help cook produce they grew. The key to growing plants with children is to make it all about them. 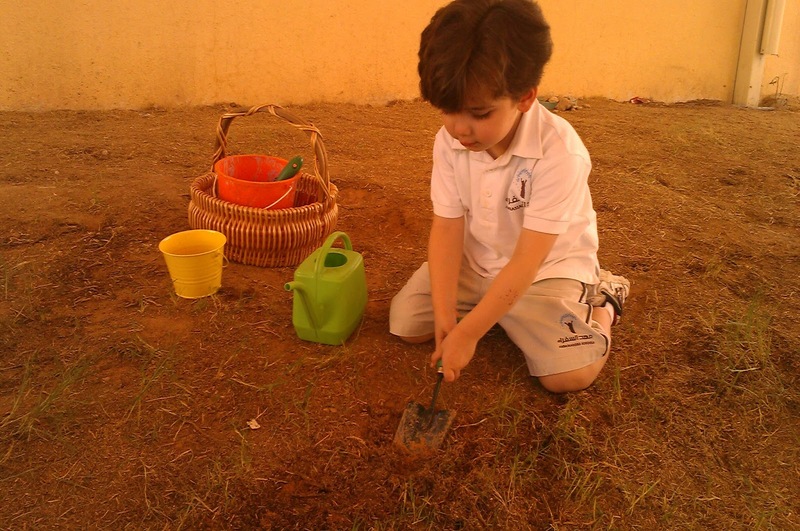 Give them a few choices and let them design their gardens themselves. It looks like the children had a lot of fun! Thanks for linking to the Outdoor Play Party.